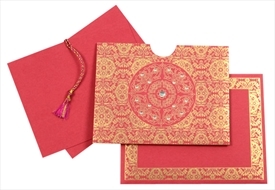 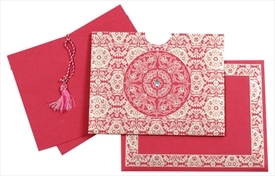 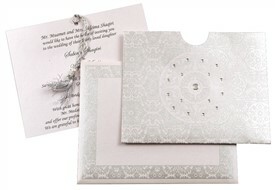 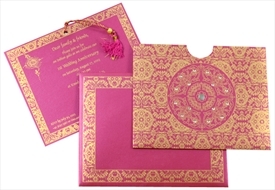 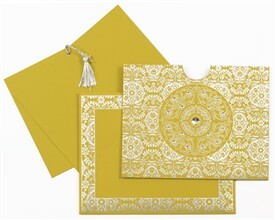 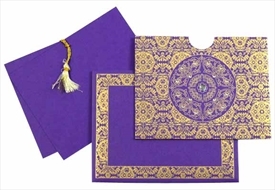 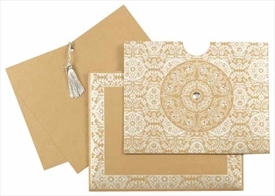 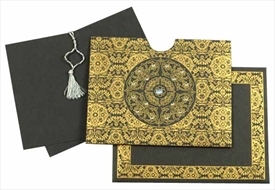 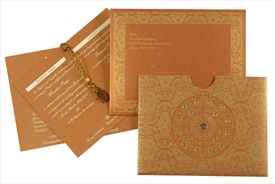 D-2032, Cream Color, Shimmery Finish Paper, Small Size Cards, Light Weight Cards, Designer Multifaith Invitations, Card with Rhinestones, Anniversary Invitations. 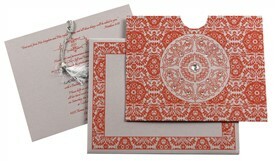 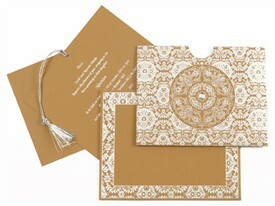 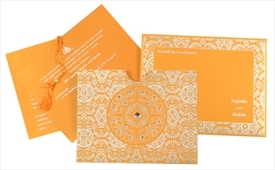 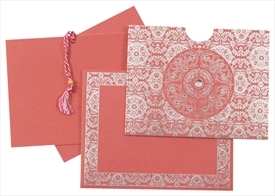 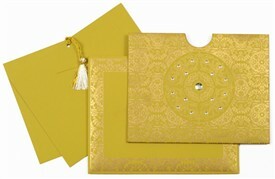 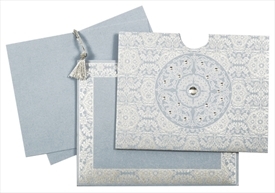 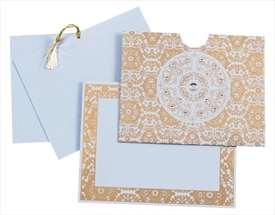 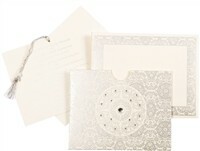 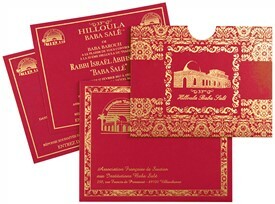 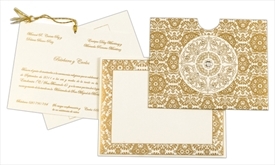 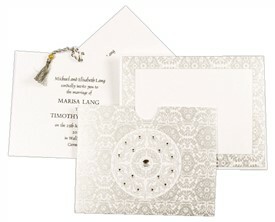 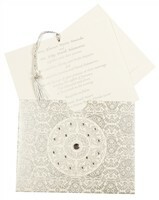 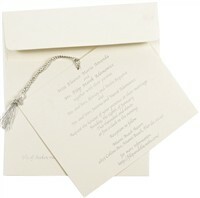 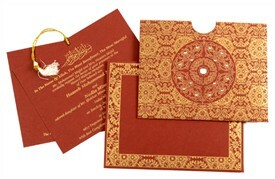 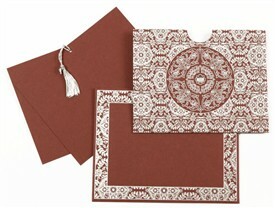 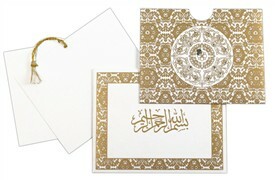 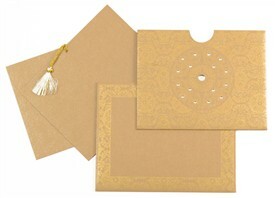 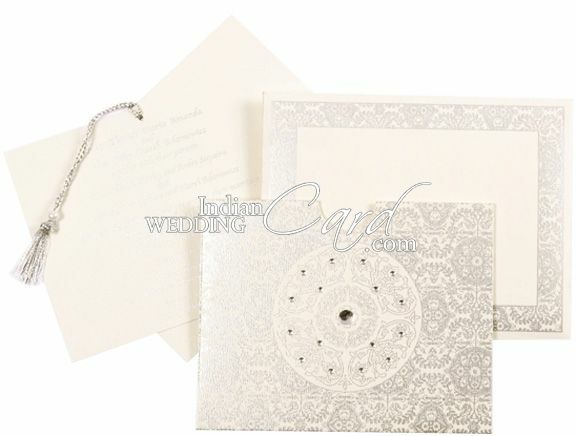 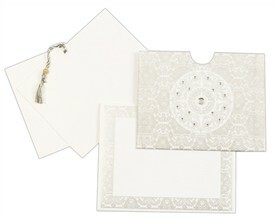 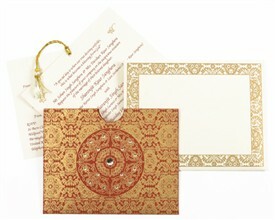 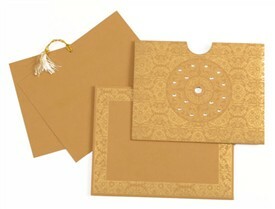 Cream color card sheet (235gsm) for holder type card, 2 inserts and mailing envelope. 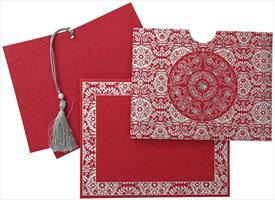 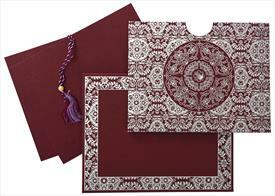 Silk Screen Printing in any Dark color and Silver color.